The story of the Congo wars is one of state weakness and failure – the weakness and failure of Congo to defend its borders, impose law and order in its eastern provinces, and build the institutions of state necessary to improve the impoverished conditions in which the Congolese population live. The weakness of the Congolese state explains why the Congo wars have no simple narrative. In the absence of a strong power in Kinshasa, rival factions have been able to proliferate, adding a layer of confusion to an already complex picture. At various times in the conflict, there have been up to forty different armed groups in Eastern Congo alone. The weakness of the Congolese state also explains, at least in part, why the conflict has received so little international attention. Despite the fact that it has resulted in the highest death toll of any war since World War 2, the Congo wars rarely make headlines. One reason for this is that most fatalities have resulted from neglect rather than from wilful slaughter. A stunning statistic, quoted by Jason Stearns in ‘Dancing in the Shadow of Monsters’ is that only 2 percent of the 5 million fatalities in the wars were directly caused by violence . The vast majority of deaths were caused by easily treatable diseases. 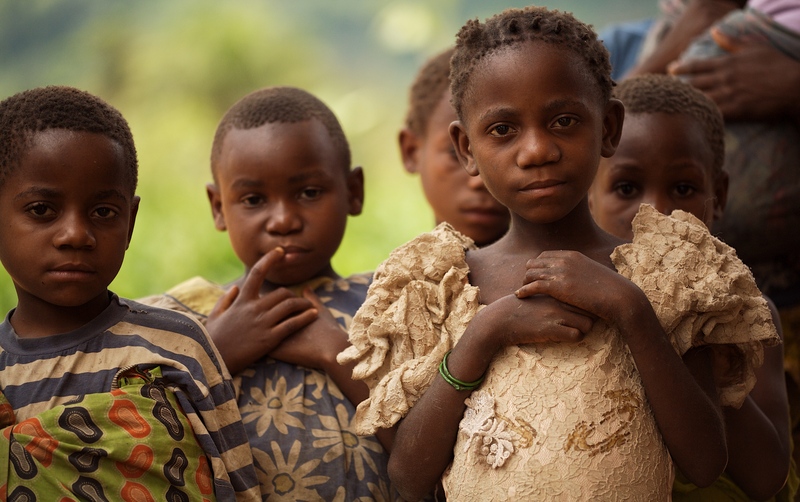 Millions of adults and children alike died of illnesses that became fatal because the fighting displaced populations, caused widespread malnutrition, and destroyed Congo’s already feeble systems of social and economic support. The Congo wars are therefore not a story of psychopathic tyrants causing the deliberate deaths of millions of their own citizens, as was the case with Mao in China, Stalin in the USSR, and Pol Pot in Cambodia. Neither is Congo the story of psychopathic imperialists waging wars of extermination, as in the case of Hitler and Hirohito. Deliberate atrocities have been carried out by all sides in the Congo, but the vast majority of deaths have been caused by wilful disregard rather than by any deliberate campaign of mass murder. In the Congo wars there has been nothing akin to Hitler’s death factories, Stalin’s Gulag, Pol Pot’s Killing Fields, or the organised slaughter of Hirohito’s Imperial Army. Instead of deliberate acts of killing, most of the victims of Congo’s warlords have simply die of neglect. The problems of Congo are a reflection of the problems that beset much of Africa. Across the continent, widespread violence and war expose African citizens to a higher threat of physical violence than anywhere else in the world. The absence of properly functioning states leaves individuals at the mercy of thugs and thieves – whether in the form of the brutality of armed militias, the corruption of government officials, or the cruelty of neighbours. Sub-Saharan Africa today is home to 70 per cent of the world’s one billion poorest people. Almost half of all children in the world who die before their fifth birthday are born here. The absence of effective governments, mean that 700 million people live in abject poverty, two-thirds of city dwellers live in slums, and half of all African women are illiterate. Africa’s nations are among the worst-run states in the world. A properly functioning civil service with appointments based on merit rather than cronyism is virtually absent from the continent. Not a single country has a functioning system of personal taxation and the limited public services that do exist are dispensed on the basis of nepotism and corruption. The reality is that the continent’s criminal networks work more smoothly today than most national governments. The persistence of these gross failures of governance is as much by design as by accident. Protracted violence and the absence of a strong state result in political systems that reward ruthlessness and marginalise anyone whose vision extends beyond power and self-enrichment. In a strikingly apt analogy, Stearns compares the political system in Congo with a centrifuge, in which the more ruthless and politically adept manage to stay at the centre, while those with any conscience are flung to the fringes of political life . So it is in much of Africa. Those who succeed in the centrifuge of violence – the leadership in national power structures, as well as the warlords in control of the countless militias that blight the continent – contain more than their fair share of psychopaths and narcissists. The ethnic hatreds that mark the region also provide ample opportunities for those with pathological paranoia to gain influence by preaching hate and fomenting fear. It is not in the psychology of any of these pathologically disordered individuals either to relinquish power, seek to reduce ethnic tensions, or search for compromise solutions for the greater good. The persistence of poverty in Africa is thwarting attempts to achieve the levels of health and education, the cultures of freedom and autonomy, the institutions of law and democratic governance, and the conditions for sustainable economic growth which are needed to finally remove the continent’s pathological elites from power. Psychopaths, not poverty, are the real curse of Africa. The Congo wars are a costly reminder, for Africans and for the world, that violence leads nowhere. After almost twenty years of war and five million deaths, the underlying causes of the conflict remain unchanged. As was the case in 1996, Congo is still ruled by a deeply corrupt regime with little interest in developing the institutions of law and democracy that would bring real benefit to the Congolese people; and the security threat in eastern Congo that Rwanda has sought to eliminate through decades of vicious violence has not been defused. The dynamic of a failing Congolese state, unwilling or unable to impose order in the east, and a belligerent Rwandan government repeatedly intervening militarily in its giant neighbour’s affairs explains much of the violence that has ravaged Congo. The reality that the centrifuge of violence propels psychopaths to positions of power helps to explain the persistence of the conflict and the near impossibility of finding a lasting peace. The solution which the 2013 Peace, Security, and Cooperation Framework aims to provide is the correct one. It aims to impose law and order in eastern Congo to stem the worst of the violence; to strengthen the capacity of the Congolese government to govern effectively (including reducing the threat to Rwanda that emanates from within its own borders); and to restrain Rwanda from further intervention within Congo. Whether this framework of hope, as Mary Robinson has called it, can succeed in paving the way for lasting peace, remains to be seen. After all, as previous attempts at peace-building show, wrestling power from the hands of people with dangerous personality disorders is like grabbing a bone from the mouth of an angry dog. This is the third post in a series of three. Read the first two posts here and here. This entry was posted in Dangerous Personalities Today and tagged African wars, child soldiers, Congo war, DR Congo, Jason Stearns, Mary Robinson, poverty in Africa, psychopaths and morality, Rwanda genocide by Ian | disorderedworld. Bookmark the permalink.